Happy New Year, everyone :) May 2018 be happy, safe and have lots of sewing for you! 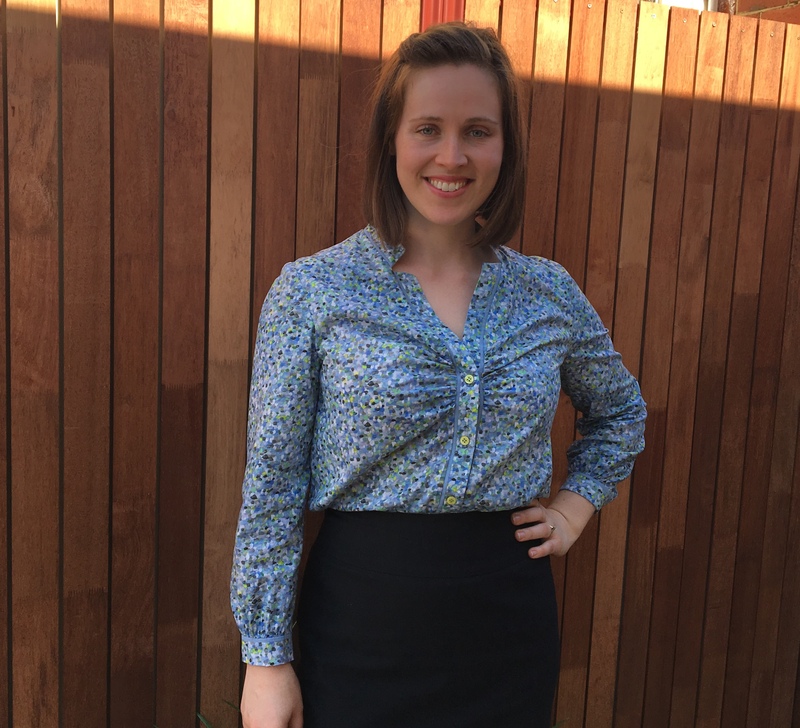 Marfy 3889 – probably one of the simplest and quickest shirts I’ve ever made! 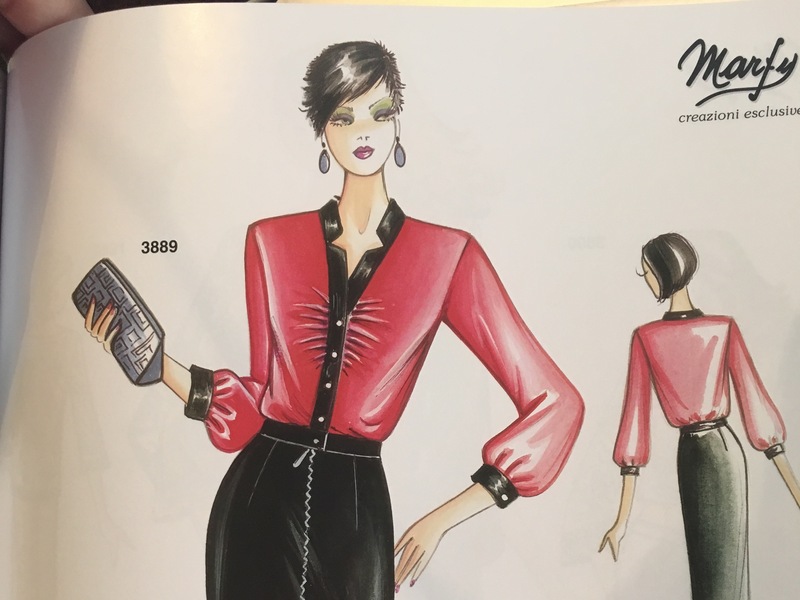 It’s from the 2016/2017 catalogue, and described by Marfy as “Shirt with gathered bodice. To be made in voile or crepe with contrasting edging”. The pattern has a straight hem with a split at the side seam, and is not shaped (there is only one back pattern piece, two for the front, a sleeve, cuff and three collar pieces) apart from some gathering at the bust. The ‘contrast edging’ is in three pieces – one around the neck for the collar and two forming the button placket (one on each side). This is my go-to size – the 46. It’s a boxy fit! Suprisingly to me, I chose to leave it be, apart from raising up the hem by 3cm. It’s definitely long on length, and I’m already long in the body. 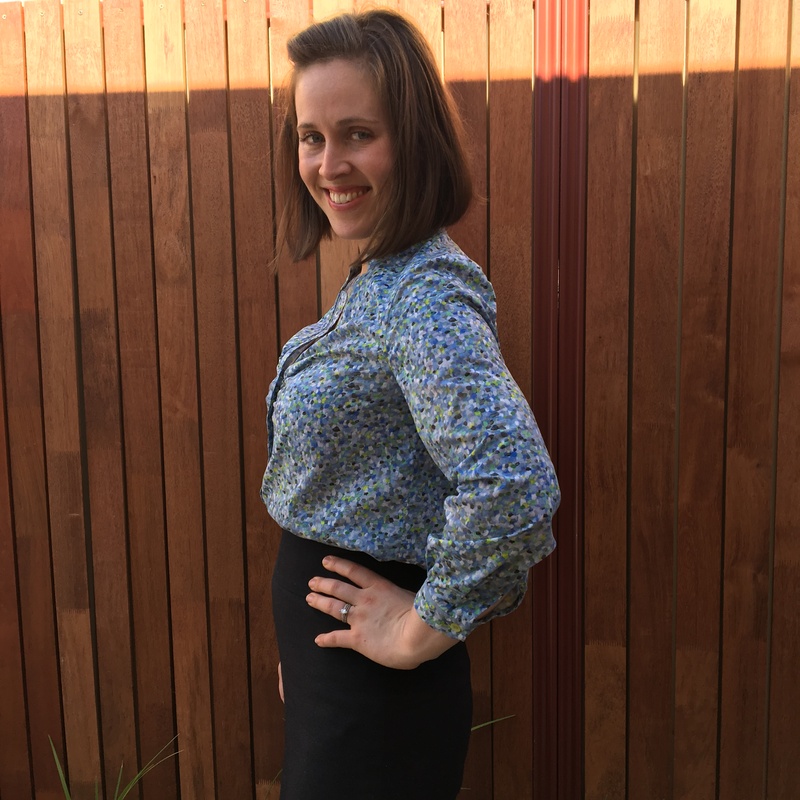 After trying on my muslin with a work pencil skirt, I decided I quite liked the ‘blouson’ effect of the fabric billowing over a fitted waistband – I get enough shaping from that effect to satisfy my desired silhouette. I think it looks far better tucked in, and given the pattern length and sketch, I suspect this is how its intended to be worn. 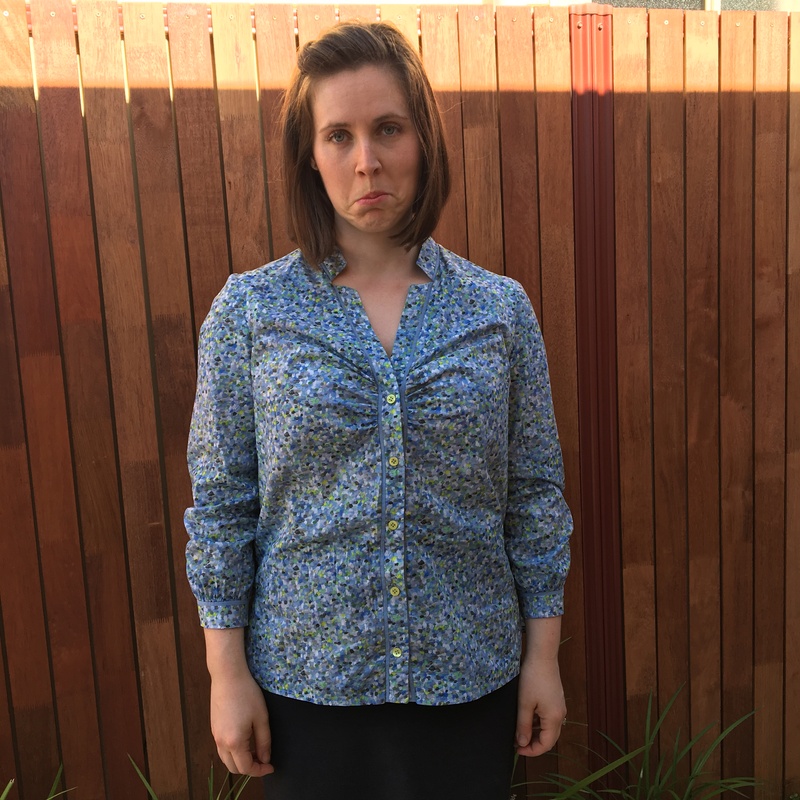 As you can see – I really just don’t suit the boxy/shapeless look… but this shirt will be super handy should I ever be pregnant again. Lots of space! I will definitely be making this again when I find the striped cotton shirting fabric I have in my mind – because the stuff I used for my muslin shows just how well this pattern can show off a stripe. I love the way they curve around the bust and point up towards the collar. Perhaps some might find this unsettling? Nothing to see here. JUST THE MOST AWESOMEST OF COMPLETELY UNINTENTIONAL PATTERN MATCHING, EVER. Pressure to replicate that fluke is on!!!! The sleeve itself is interesting as well – no ease in the sleeve cap (which I love), and what I would call a 7/8 length? It has a cuff that buttons up and one of those split things (I have no idea what it’s called? An internal placket?!? ), a pleat AND some gathering. I had to draft my own facing for the split-thing, but that’s fine (actually, I suspect I may have lost the tiny pattern piece for this in my messy sewing space – as the next shirt I sewed up after this one (the Wiltshire Shirt) has the same split and it came with a pattern piece) – I copied what I did pretty much exactly on my Blue Blotch Blouse (McCalls 5929, now OOP). It worked better than I thought it would. And completed, I actually love how the volume is concentrated on the out-facing part of the sleeve because of the gathers. The sleeve cuff didn’t have a marking to indicate where to start the overlap for the button/button hole. I presumed there was supposed to be an overlap, so I wrapped the cuff around my wrist and gauged that 2cm ought to do it. I could have gone a bit less, I think. I then just used the gathered section to make the sleeve fit to the remainder of the cuff. The hem is just a simple fold up and under and top-stitch affair. It also has side splits. As it’s extremely unlikely I’ll ever wear this untucked – I didn’t put a great deal of effort into any special finishing. Just a quick and easy fold under, press and stitch. Where as the inside front is just overlocked, except for the collar/contrast facing, which I handsewed down. Not sure why I didn’t just include this in the overlocked part, to be honest! It’s pretty hard to go past Liberty. 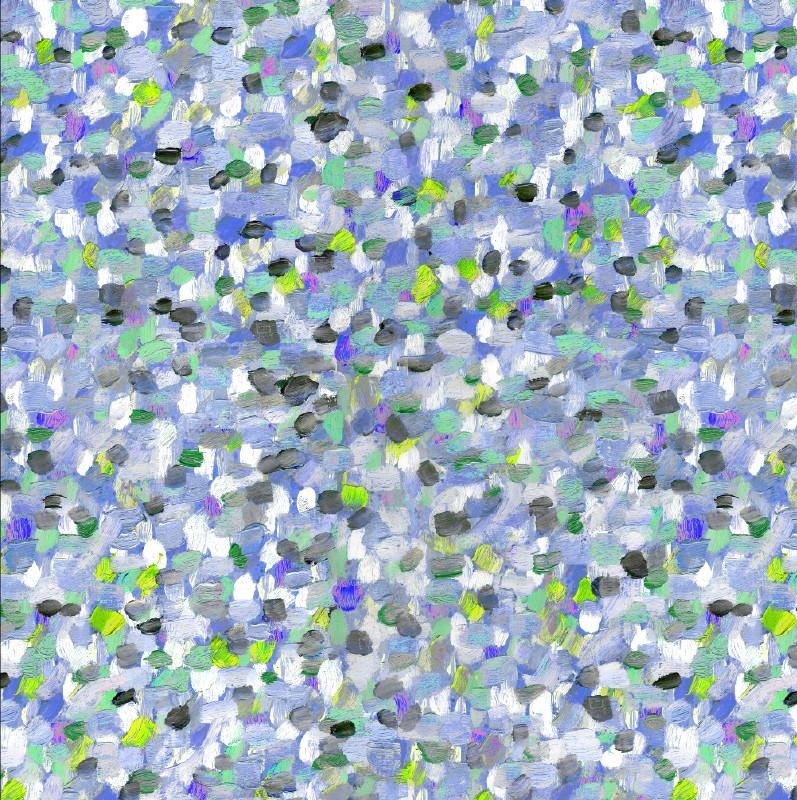 This one is a painterly print called ‘Pointillism’, in its blue/grey iteration (which is apparently an ‘abstract interpretation of the wild floral fields of Tesco’ – Liberty of London’s words, not mine). It’s from Shaukat. The cuff and the collar are interfaced with a double layer of silk organza (all eeked out of scraps, yay!) for a bit of structure. 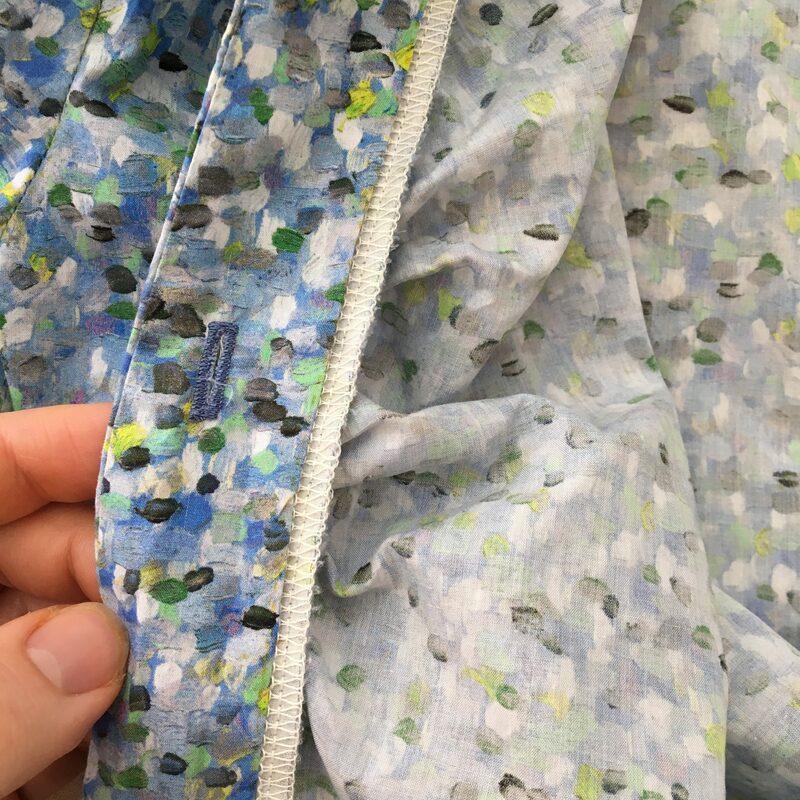 Any interfacing in the front placket needed to be soft and pliable so as not to awkwardly affect the way the shirt blossoms out when worn tucked in. This is what the colours actually look like. My DSLR has kicked the bucket, and camera phone pics just aren’t the same! Buttons are from Buttonmania. 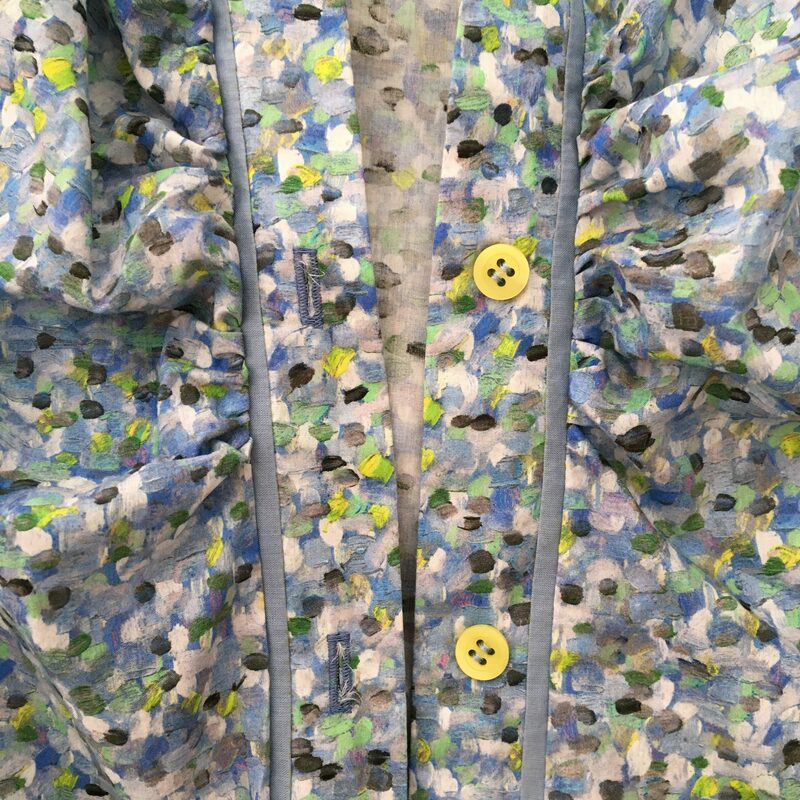 It was the first time I did the whole ‘send a scrap of fabric away for them to match buttons to’ thing, and I was a bit thrown off guard with the lime green buttons they texted back to me. Even after I said in the accompanying letter that I would be cool with some left-field options! haha, I was forced to chew on those words in the end. 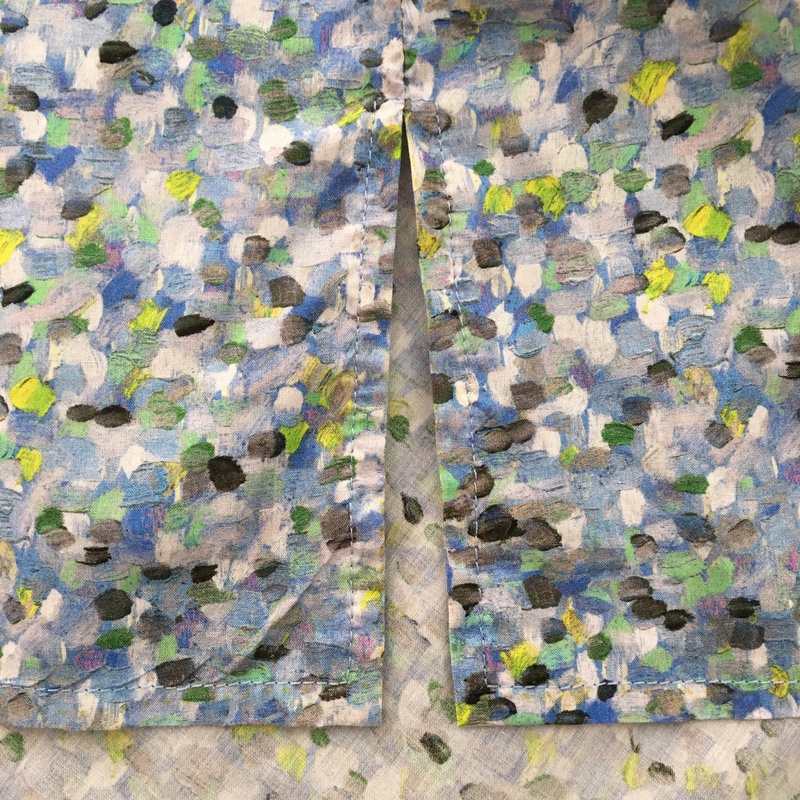 I agreed to the lime green option, and in the end was glad I did – they look SO much better against the fabric IRL than they did in those photos they sent through. A really perfect match to the lime and fluoro yellow highlights in the Liberty. And that is all for Marfy 3889. One more shirt to blog about (Marfy 5156) and I’ll be up to speed on things I’ve finished during 2017. I’m also almost finished a dress (I’m waiting on Buttonmania to come back from their Christmas break so I can get buttons!) 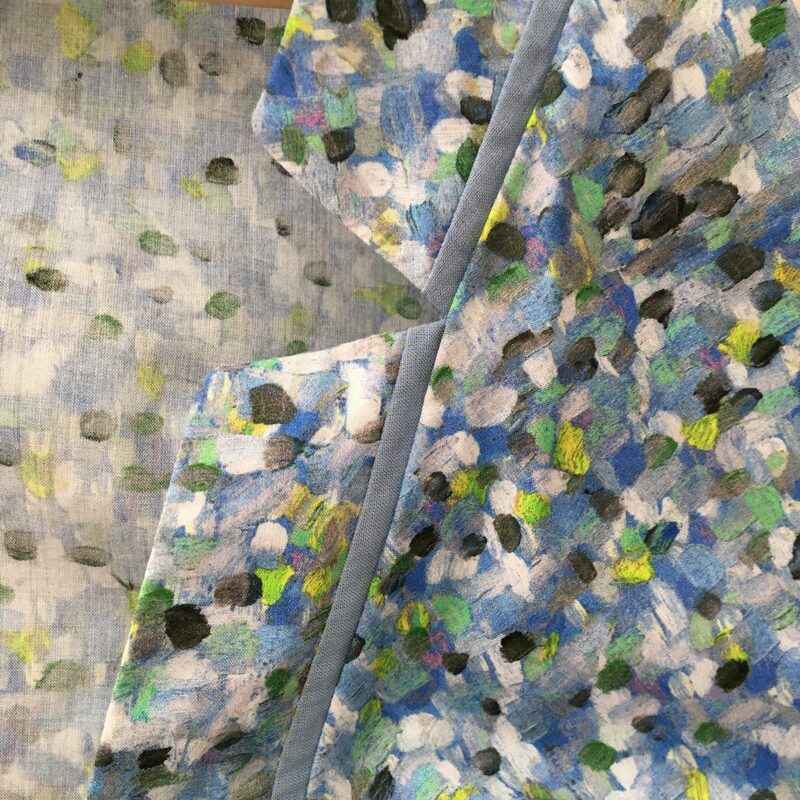 plus have another 2 muslins finished and ready go into final production… but those will have to wait as I’m currently prepping for a class with Susan in a week or so, which I’m very VERY excited about! That looks great. 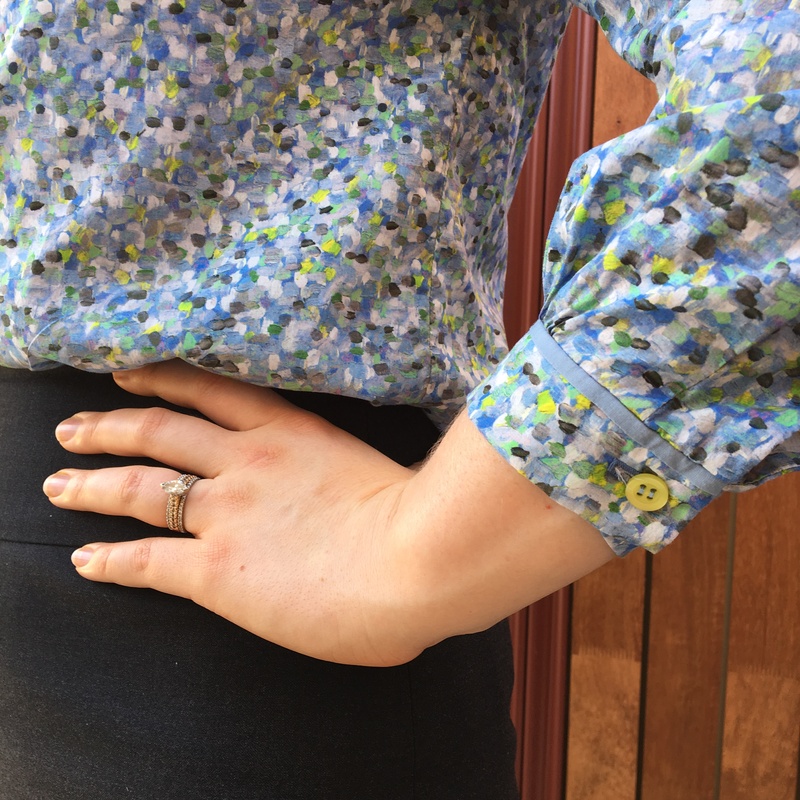 A Marfy being ‘quickest and simplest to make’ means you are darn good at sewing, and this shirt shows that. Good for you! You’re too kind, thank you Donnalee! Happy New Year! Love the blouse/shirt. The insert fabric really does add a lift as do the buttons. (Mind you I would have chosen blue buttons – cos I am a boring accountant..haha. But Buttonmania’s choice is fab.). 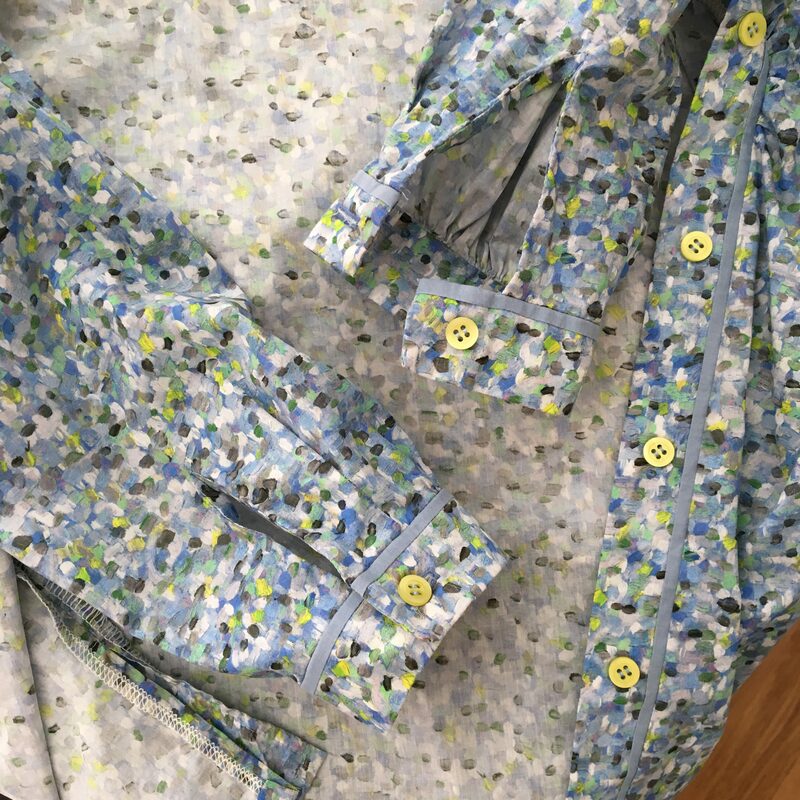 Thanks for the links for the fabric and the buttons. 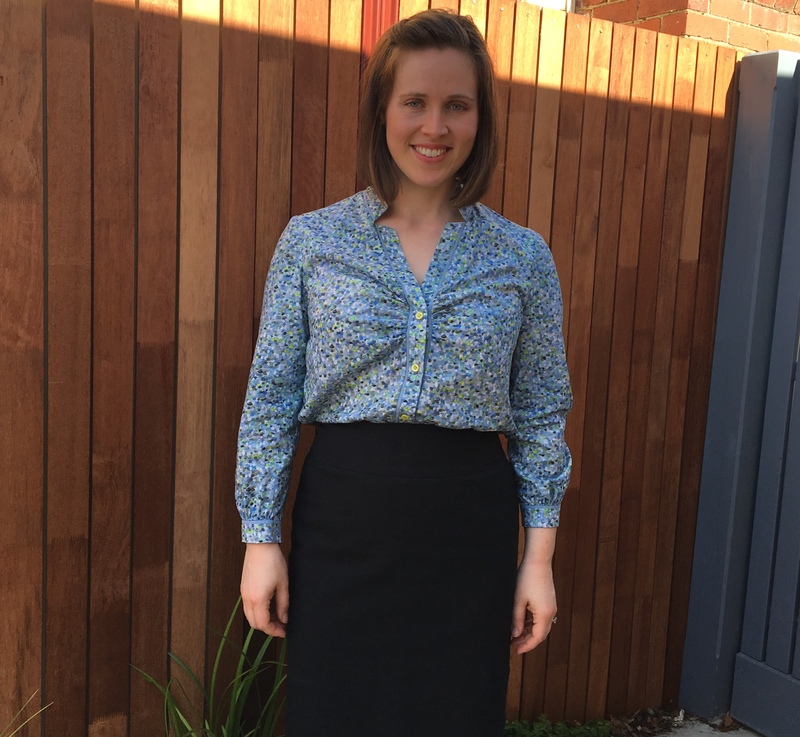 Also (IMHO) the blouse out looks ok but would look really nice about 6 inches shorter at front and tapering higher on the sides. Still gives you the curves. 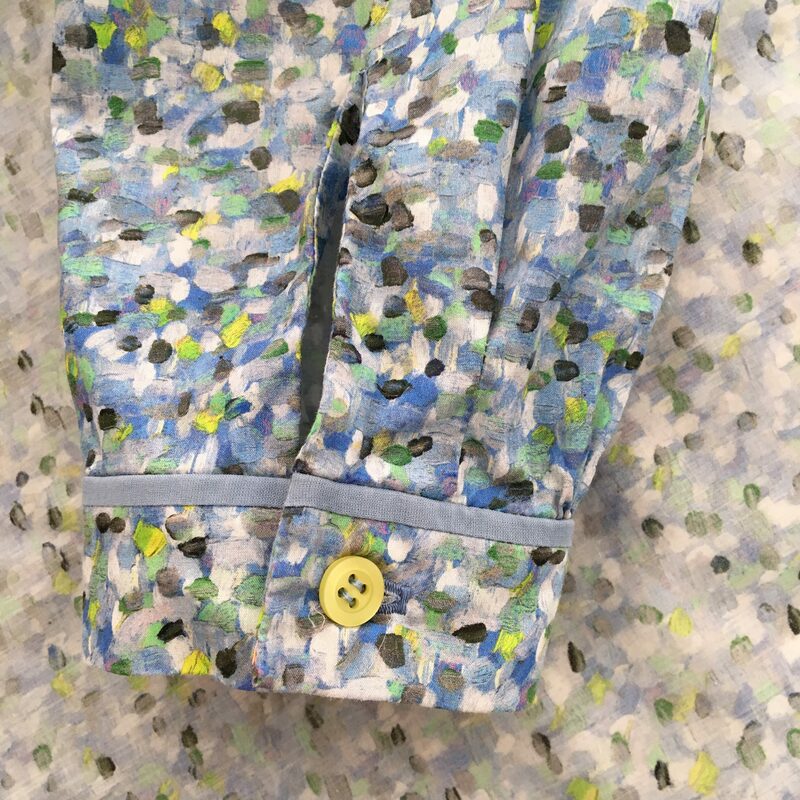 Not for this one but now that you have a fabulous fitting garment – more possibilities. The stripes will look amazing. How exciting your class(es) with SK! Great start to 2018. I love the buttons, they almost look part of the dabs of color. The stripes will really set off the unique composition of this pattern if you choose to do a second one! I’ve done lots of those sleeve facing things over the years, and I can’t think of what they call that one either! Thanks Beth :) Happy New Year to you, too! I can definitely recommend it :) Thank you! Wow! What details in this simple-looking shirt. I love the fabric, and the sleeves, and the cuff details, and the contrast fabric and THAT COLLAR!! Beautiful shirt! I’ve never made a Marfy pattern but I do have 2 in my stash that I couldn’t resist. 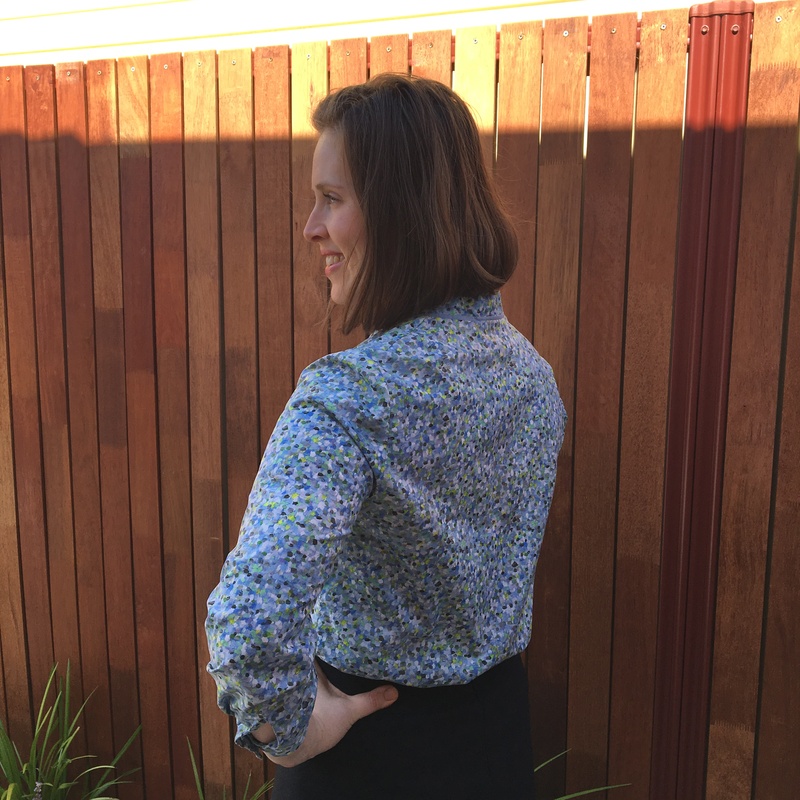 Everything I’ve heard about Marfy is what scares me :) But seeing your blouse has nudged me closer to getting those patterns out! This is beautiful, Mel – really lovely! So excited that you will be sewing with Susan. I hope you have some very special project planned. Love the blouse, the buttons are awesome. Can’t help noting that your super quick sew is still immaculately stitched. with precision. As always! I love your new blouse. I’m trying to figure out how to get my hands on the pattern without having the catalogue. Happy New Year!! That piping detail is just gorgeous!! Wonderful pattern and I see why it’s your go-to. Your contrast bands add a touch of couture. Your muslin looks good enough to wear and I see loads of possibilities for using stripes. Happy New Year. Lovely shirt, lovely detail and lovely fabric, but, yes! I noticed the same thing at The Fabric Store in Sydney last week. Lots of Liberty but the rest of the fabric range was disappointing. 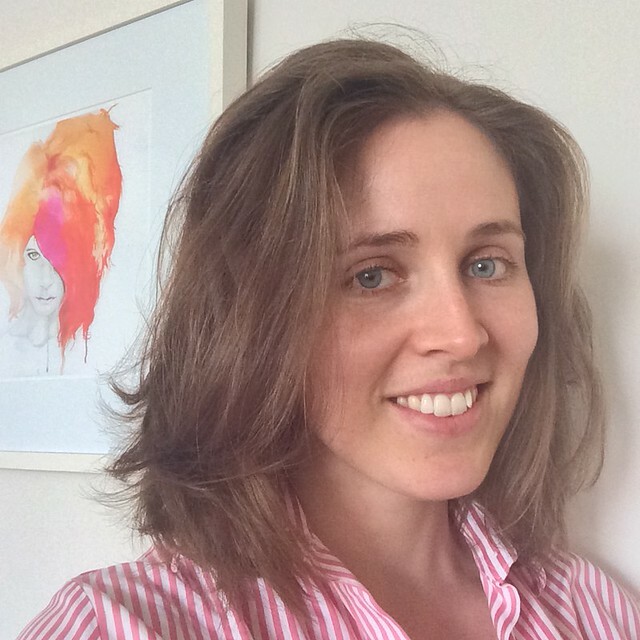 Thanks Kathryn :) It’s bizarrely vilifying to know I’m not the only one who has noticed! I smiled when I read the phrase about the wild, floral fields of Tesco. Tesco is a supermarket here in the UK. Love the piping around the edges….very neat and well executed.